As ecommerce players ramp up t heir muscle to cater to Diwali deals, it is the temp staffing industry which is celebrating the festival with more hiring and perks. 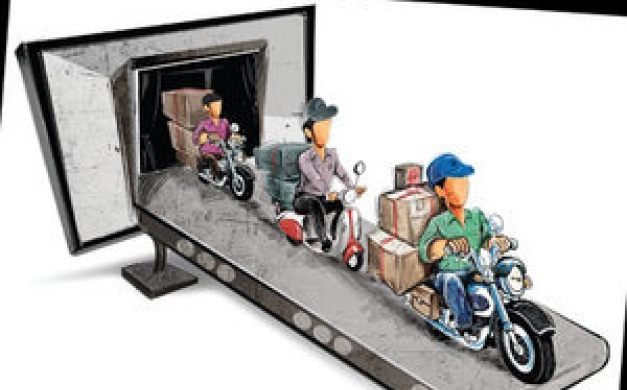 Here’s a look what Amazon, Flipkart and Snapdeal are up to. In India, Diwali means celebrations – both for people as well as organisations. While, people loosen their purse strings to buy everything on their wish list, the companies too don’t leave any opportunity to cash on this mindset. Result: A market where consumer, distributors and retailers – all are spoilt for choices. Add to that the online domain, where ‘sales’ and ‘discounts’ is a norm even for regular days. And Diwali certainly means bonanza discounts. Last year, ecommerce players – particularly Amazon, Flipkart and Snapdeal broke all records in terms of offering deals, collecting profits, counting margins earned. For that, they ramped up staff strength by as much as 50% by adding the temporary staff. Estimates suggest that these three giants created as much as 50,000 temporary jobs for festive season in 2016. Such was the hype of these jobs that pictures of the temp staff sleeping in office itself and managers writing long letters to families of these staffers, assuring of their well-being and thanking them for contributing to business went viral. That regard and revere for temp jobs was missing in India till this while. And it was unusual in a country that regards ‘permanent job’ as the eternal symbol of ‘settling down’ of their kids. Cut to Diwali 2017. What is happening with temp jobs? Where is the hype this year? Especially at a time, when Flipkart is pumping in more money on advertising and commercials than even global biggie Amazon. Snapdeal is quietly, but steadily, dishing out its deals even as it moves closer to its vision of a lean Snapdeal 2.0. “Festive season comprises of more than 50-60% of annual sales and companies keep planning their festive offers to attract customers in a big way and from a temp hiring perspective sales, marketing, logistics, supply chain and over the counter sales personnel requirement increases for both B2C and B2B,” says Sunil Goel, MD GlobalHunt. Mahesh Bhatt, ED – Gi Group India adds, “e-commerce sites have already added as much as 50,000 temporary workers for this festive season. A fraction of this staff will help in corporate functions, customer care etc, and a bulk of it (about 75%) will mobilise the delivery, customer centricity functions”. As for numbers, Sunil Goel has more aggressive numbers to quote here. “We have seen almost 20-25% jump in temp requirement during this time and all put together in the industry, more than 1 lakh extra work force is required to address this increase in need,” he said. On probing about the role of Amazon, Flipkart and Snapdeal in creating these jobs Mahesh Bhatt said, “Both Flipkart and Amazon have invested more money as compared to Snapdeal for this festive season. The budgets for these two are about 30-40% higher than last year. Most of these monies are spent into hiring temp staff for sales and delivery purposes. Other than that advertising, marketing, SEO, SEM are also priority for these sites in budget allocation,” he said. Since most roles are in customer related domain, companies pick up candidates who are already working in the similar profiles preferably in the same city or even same location. 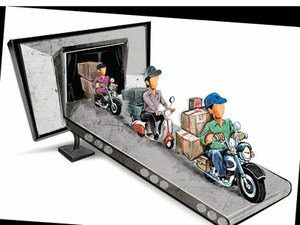 “Companies look for candidates who are mobile (have a conveyance or know how to ride one) and know localities very well to the extent of knowing nooks and corners of streets. They may even pick a candidate who is already working in the same locality and hire him readily for their work. About 20 – 25% get absorbed due to increase in business and another 25-30% get absorbed into hyper local delivery like food /grocery delivery, which too is growing at the rate of 25-30%” says Mahesh Bhatt. Mahesh Bhatt says that the temp staff remain on the floor even after Diwali. “The offers and deals reign in even after Diwali. And typically the e-commerce business models survive because of the deals and offers of various kinds. Hence the staff that is employed before Diwali remain in workforce till the quarter end, for the closing deals and other spill-over offers. After the quarter end, about 20% may be absorbed by the company,” he said. The perks for temp staff are many. The biggest one is having a big name on the resume, which helps immensely in getting future employment. Their days may be long and tiring, but fat bonuses and incentives compensate for most of such pains. So, who is complaining?